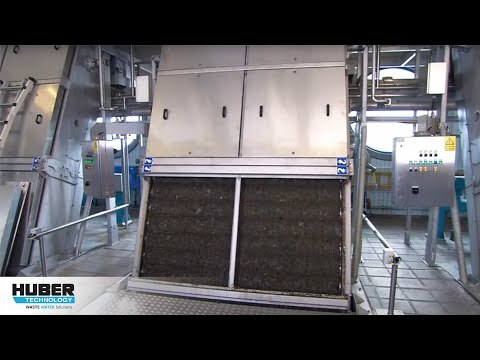 HUBER Belt Screen EscaMax® - Huber Technology Inc.
At their upper turning point the perforated plates are continuously cleaned by a fast counter-rotating brush which increases the cleaning energy and thus significantly improves the cleaning efficiency. Cleaning is supported by an integrated spray bar. All bearings are maintenance-free. All submerged bearings are wear-resistant ceramic bearings. All machine components in contact with the medium are made of stainless steel and acid treated in a pickling bath (except chains, drives, bearings). As an option, the chains and chain wheels are available in stainless steel.